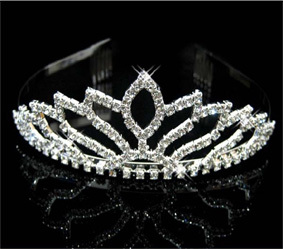 This elegant pageant crown is the perfect accessory to complete your princess look. Made with rhinestones and plated gold, it has a comb on each end. Fits 4 year olds to adults.